We surveyed our readers and allowed them to vote on their favorite geek-centric projects and stars of the year. In our Best of 2017 series, we’ll highlight each winner and discuss what made them a sensation. 2017 was a strong and divergent year for genre cinema. We saw the emergence of the most successful horror movie of all time in the shape of It, while Edgar Wright exuberantly fused musicals with action flicks in the joyous Baby Driver. Elsewhere, we got a unique, indie take on the Kaiju sub-genre in Colossal and Guillermo Del Toro returned to his best form with The Shape of Water and it’s a huge shame so few people witnessed either of them. As such, compiling our list of nominees for our reader’s poll was a balancing act between popularity and quality in what was one of the strongest categories this year. The Geek God that is Christopher Nolan briefly turned away from high-concept projects to indulge in the more traditional form of the war genre. Indeed, if it wasn’t for Nolan calling the shots here then we probably wouldn’t have considered Dunkirk for our poll but such were the startling results of his depiction of the chaotic retreat of British forces in World War II, it is no surprise that it scored so highly with our readers. Essentially, Dunkirk is the opening half an hour of Saving Private Ryan in reverse, stretched to feature-length, then broken into crystalline pieces re-positioned to maximise the tension in what is more akin to a psychological thriller than a traditional war movie. Dunkirk may be light on memorable characters and dialogue, but Nolan plays to his near-peerless strengths of fractured structure and spectacle to deliver a striking addition the WWII sub-genre that commandingly balances classical filmmaking with a contemporary feel. When future archeologists have the misfortune to dig up 2017, which has been a smear of a year on western civilization, they will struggle to find an artifact more indicative of where we were at than Jordan Peele’s superb racial satire, Get Out. The conceit for this sleeper horror hit was essentially Look Who’s Coming to Dinner re-told with the tone of Rosemary’s Baby with an undercurrent of John Frankenheimer’s massively under-appreciated Seconds bubbling underneath. And while Get Out is unquestionably charged with racial tension, it offers no easy answers to the greater conversation of race relations in 2017 with the antagonists of the piece being distinctly liberal in their political leanings. 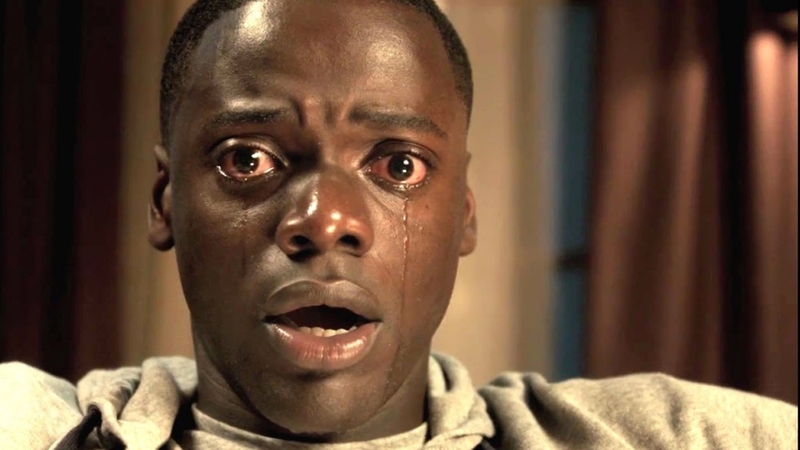 It is this crucial ingredient that elevates Get Out from being a race-baiting exploitation horror piece (just imagine how yawningly predictable and stereotypical it would have been to cast the sinister family as either rednecks or Republicans) into something far more profound and provocative. The tale of taking white appropriation to the next level is aided magnificently by Daniel Kaluuya’s breakout performance in the lead where he is ably supported by veteran character actors Catherine Keener, Bradley Whitford, and Stephen Root. 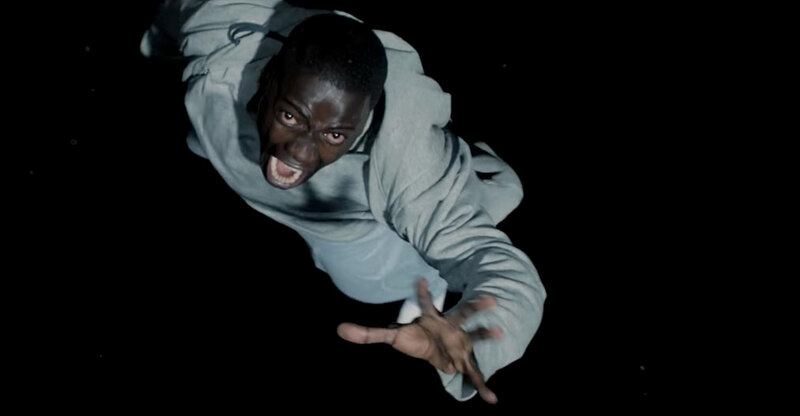 Much like Charlie Brooker’s Black Mirror, Get Out offers a skewed, sci-fi infused take on our modern world that asks many difficult questions and leaves it up to us to find the answers. Sadly, based on the events of 2017, we seem further away from being able to provide those than ever. Happy New Year, everyone! Agree? Disagree? Let us know your thoughts below and be on the lookout for more articles covering the Best of 2017!